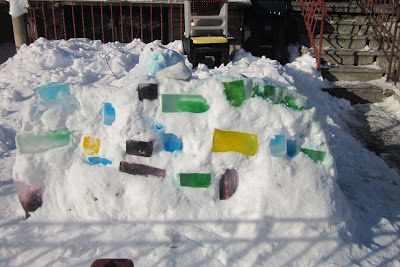 A project idea from Nancy this past winter! Attached is an image of a snow sculpture that was in the hood a few weeks back. I showed it to Meaghan and she thinks it would be fun to do with the kids.